Portrait of a beautiful spring girl in cherry tree flowers. Description Portrait of a beautiful spring girl in cherry tree flowers. Title: Portrait of a beautiful spring girl in cherry tree flowers. 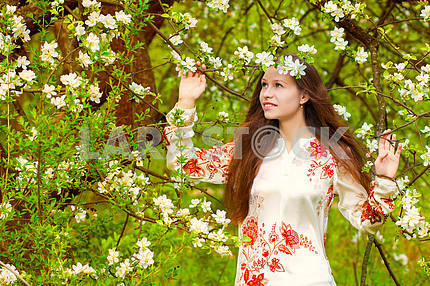 Description: Portrait of a beautiful spring girl in cherry tree flowers. 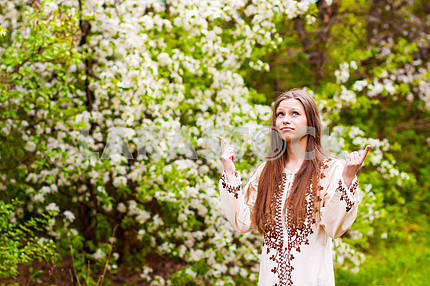 Image Description: Portrait of a beautiful spring girl in cherry tree flowers.